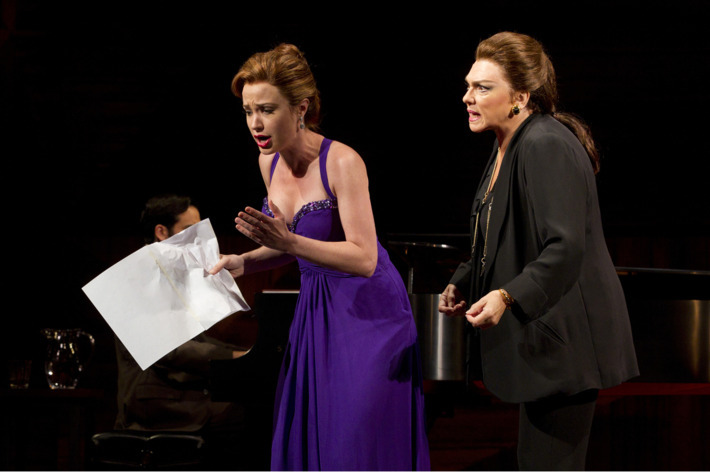 But Tyne Daly’s Callas never takes her regal status for granted. This play’s been revived specifically for her, yet she actually feels like she’s here to work. Daly never lets you forget that this was a queen from Queens (where Callas, long before returning to Athens to shed her Coke-bottle eyeglasses and adolescent pudge and re-create herself as “La Divina,” grew up). And who’s to blame her if she can’t help turning the lesson back to herself? Her three students — a green gushy type (Alexandra Silber), a hungrier, more brittle lioness-in-waiting (Sierra Boggess), and a charmingly, justifiably full-of-himself tenor (Garrett Sorenson) — scarcely squeak out a note before she stops them with a memory, a personal parable, or an unflattering comparison to her own illustrious career. But then, she is, after all, her only referent, her only competition. In the end, she vanquished herself, a victory that cost her everything. Her sui generis voice, which she willed to pinnacles it may not have been designed to reach, was the sweet smoke rising off a funeral pyre. This Master Class contains a kind of Pyrrhic victory, an intrepidly honest performance that reveals a smart, yet tangibly scant show. Stephen Wadsworth’s production is disciplined and clean, and the timing is impeccable; but it also feels a little arid and reveals the play’s roots as a glorified sketch. Daly handles the play’s two megamonologues well, especially when she plays both Callas and the corrosive love of her life, the billionaire-errant Aristotle Onassis, the rocky shoal La Divina decided to wreck herself and her career on, half compulsively, half strategically, the way she did everything. But these narrative departures feel so mechanical, so artificial — and arrive so galumphingly on schedule — it’s a wonder that McNally got a pass for them. Audra McDonald won a Tony in the role Boggess is now playing, a nervy outsider who shows up, disastrously, in an evening gown, and might remind Callas a bit of herself — and must therefore be undermined and destroyed. Boggess plays her with glittering diamond eyes and the pointy, venom-tipped baby teeth of the young and hungry. I suspect she lacks the gravity McDonald had in the role, but she makes up for it in bite, especially delivering her parting shot: “You want to make the world dangerous for everyone just because it was for you.” Problem is, in Wadsworth’s Class, the world just doesn’t feel that dangerous. 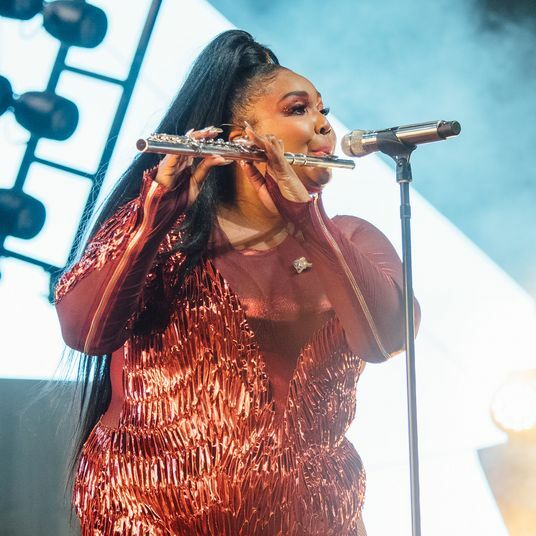 And while Daly, with her clipped, rabbit-punching rhythms and deep reserves of phlegm, is often wickedly funny (“Does anyone know what time it is? I have a beauty parlor appointment after this”) and unspeakably poignant (“Never move on your applause. It shortens it”), I sometimes felt her playing less the tragic has-been than the self-deluded never-was. For the true diva, maybe there’s not much difference. And maybe that’s why I have trouble caring. 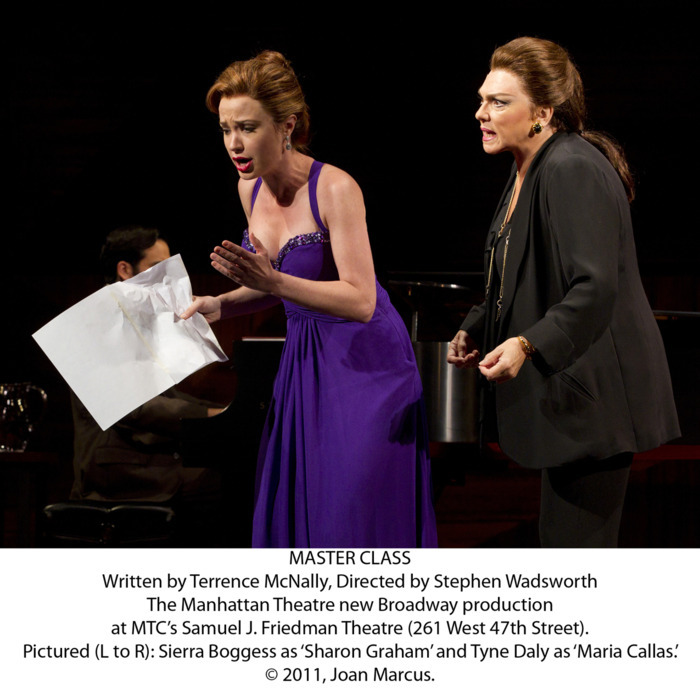 Master Class, produced by Manhattan Theatre Club, is at the Samuel J. Friedman Theatre.